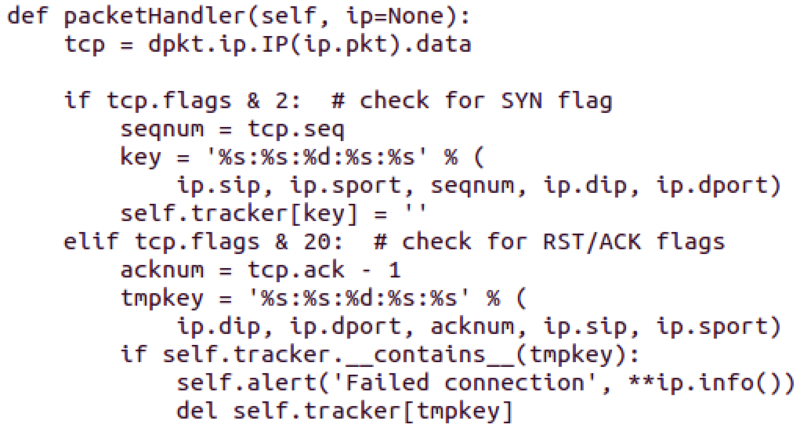 PacketDecoder: This type of decoder is able to look for specific packet information in a live capture or PCAP file and then show it to the user in a customized way. SessionDecoder: This type of decoder is able to get information from a complete protocol session, from the initial connection to the end of the session. dfile: Dshell class to handle file functions, wheter files are on memory or disk. dshell: Base class used to initialize the decoder to work in the framework. You can choose to use IPDecoder, IP6Decoder, UDPDecoder, UDP6Decoder, TCPDecoder, TCP6Decoder,Data, Packet, Connection or Blob. util: Dshell class providing useful functions like decode_base64 to decode base64 strings, printableText to print just ASCII-printable chars to the screen, printableUnicode to print unicode text without the control characters, hexPlusAscii to return hex dump in a two-column presentation for binary input, URLDataToParameterDict that parses URL format string, strtok to tokenize a string as used in C and xorStringDecode used to decode xor from string char. 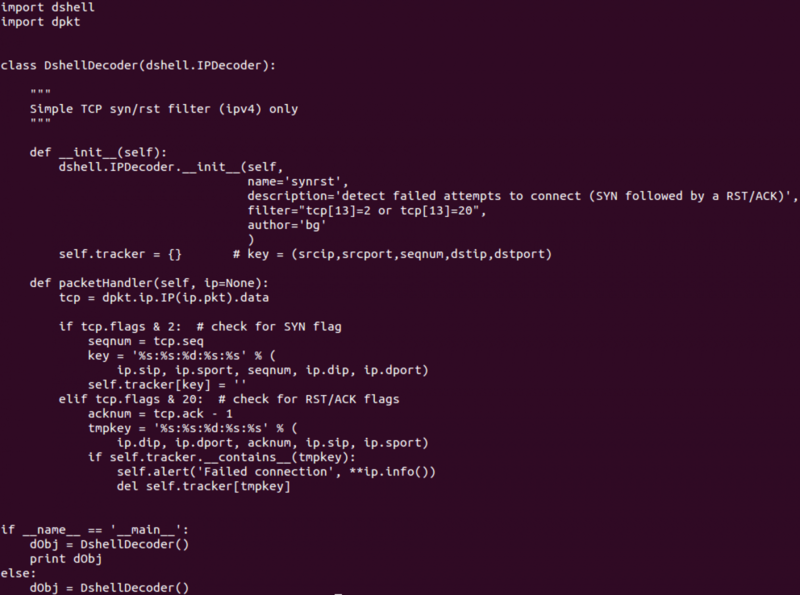 smbdecoder: This decoder extend dshell.TCPDecoder to handle SMB Message Requests/Responses. This looks like a packet decoder, using the base definition of IPDecoder contained in the Dshell class. You can find this and other examples inside the decoders directory of Dshell.